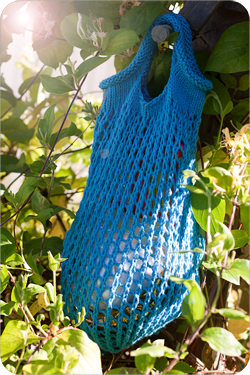 Chicken Soup Designs: Magic Eight Ball - Ravelry Style! Magic Eight Ball - Ravelry Style! 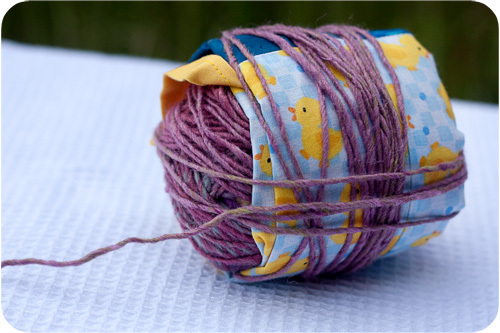 I don't know about you, but I had never heard of a "Magic Eight Ball" or "Magic Yarn Ball" swap - but then again, I'm new to the world of swapping in general, lol! 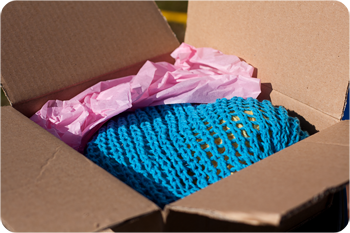 Basically, it is a gift-filled treasure, made for another person that comes from the book The Children's Year (Hawthorn Press). 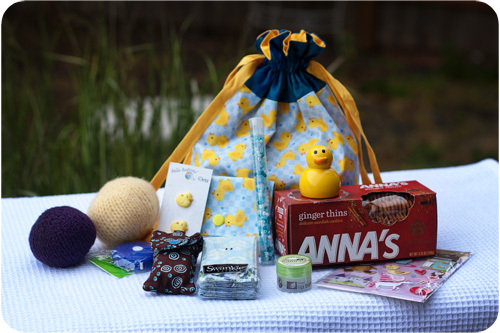 The gift giver wraps neat little treasures up in a ball of yarn, with a few of the beautiful gifts peeking out at the edges. 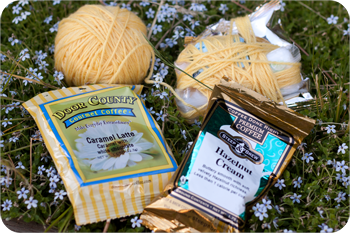 As the recipient crafts with the yarn, the treasures fall out one by one, and they get to discover the fun as they knit or crochet. 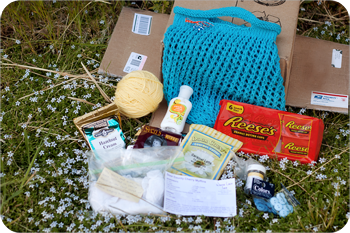 I recently made one of these for the Ten Dollar Swap on Ravelry, and I thought I would show the gift from start to finish so that you can make your own Magic Eight Ball for a special friend! 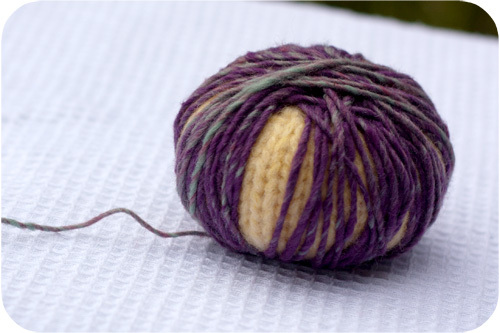 First, start with something round-ish for the center, and begin wrapping one end of your yarn around the object. I used a small knitted jingle ball that I had made for my recipient to give to her pet ferrets. 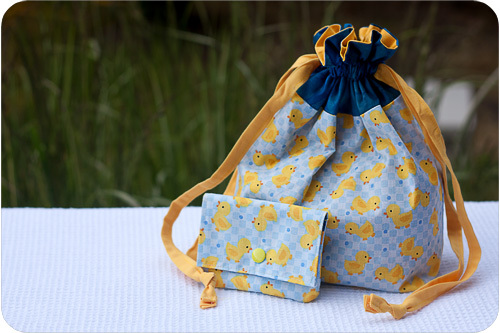 I continued on by adding another jingle ball and a ducky themed project bag and wallet I had sewn that I folded and rolled up very tightly around the ball. 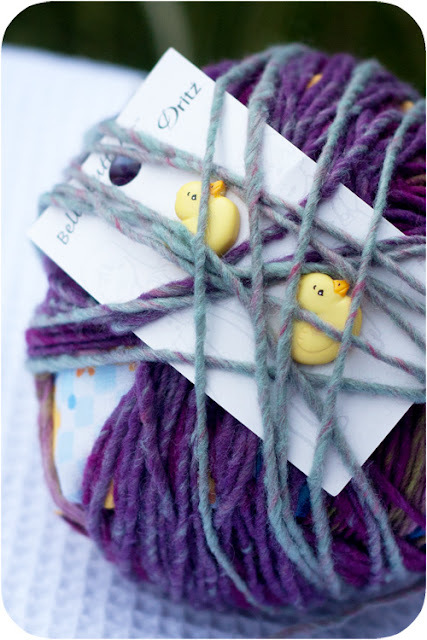 Anything your fellow knitter might appreciate (such as a tapestry needle, a few point protectors, special stitch markers or knitting notions) would be perfect for your Magic Yarn Ball. 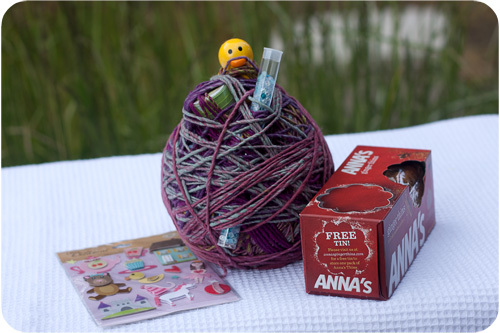 Keep wrapping and adding objects and watch as your Magic Yarn Ball grows bigger, and bigger!